The summer months are generally not known as the most productive months in academics. The outside temperature soars, university buildings are empty and it is harder to concentrate on the usual work when seeing others celebrating their annual holidays. Luckily, I had a lot of interesting stuff to do, mostly relating to the first point: the extreme weather conditions that we experienced in the past months. In the first week of July I attended a summer school on Climate Change Economics in Venice (Italy). The professors gave lectures on the economic damage caused by global warming, and how we can deal with tradeoffs between our interests and those of future generations. I also presented my work on how climate change may affect the recreational value of heathland areas. The summer school showed me that environmental valuation studies, such as the ones I am preparing during my PhD, are seriously lacking integration with the top down approach of (macro) climate economics. The latter assumes a simple quadratic relationship between temperature rise and global economic damages. During the summer school I kept reassuring myself that the micro-economic work of real-life case studies are the dots that collectively represent a relationship between climate change and economic impact. Yet I am sure that a lot of work remains to be done here..
Second, Belgium celebrated the Nationale Heidedagen 2018 (or National Heathland Days) during the first weekend of September. Many visitors came to the Mechelse Heide, the most famous heathland area in Belgium, to enjoy sceneries of blossoming heather. It was a great opportunity for me to interview respondents about their recreational preferences when it comes to heathland. 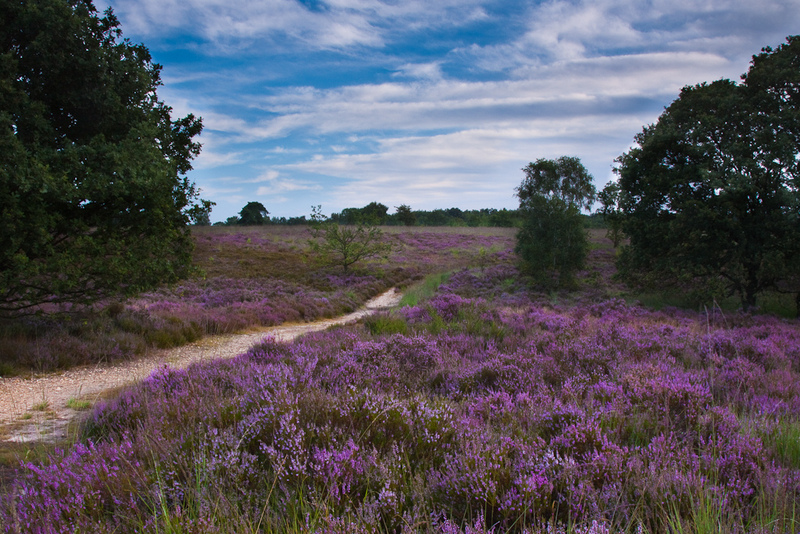 It seemed quite a paradox that this year’s blossoming period was very disappointing because of the long drought period… But it certainly made my respondents understand why I am quantifying the impact of droughts on heathland! Finally, I submitted a research proposal to the FWO in the beginning of this year, and at the end of this summer the long-awaited message from the Research Foundation Flanders (FWO) came: the message that I have been selected for a FWO Doctoral Fellowship. So, despite working in an office under ‘drought conditions’, it was a great summer for me!